Goodbye Dustin the Turkey there's a new dog in town and his name is Alfie. 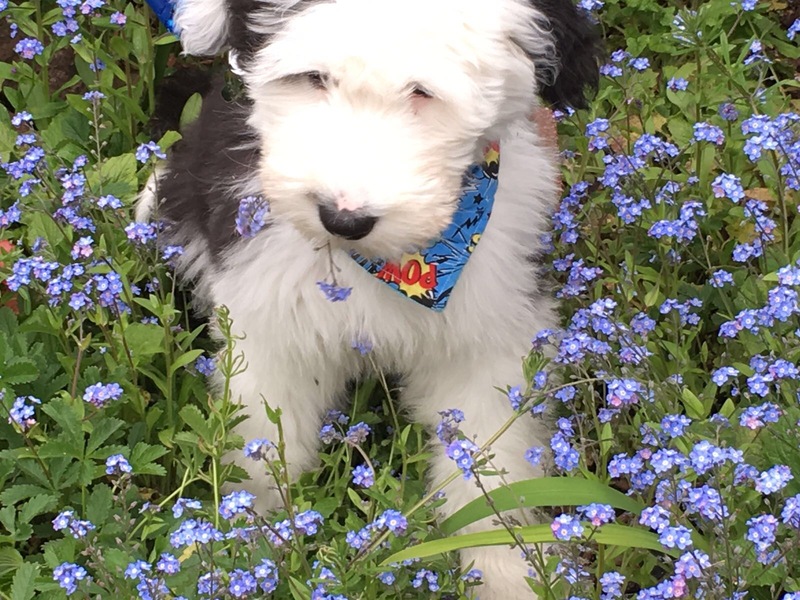 Alfie is none other than Eurovision commentator and RTÉ legend Marty Whelan and family's Old English Sheepdog and we think he should represent us in Eurovision 2018. Ireland hasn't had the best luck in recent years when it comes to the Eurovision and if Brendan Murray's song doesn't wow Europe tomorrow night it could make for the fourth year in a row that Ireland haven't qualified for the final. "When the girls (Maria, my Mum, and my sister Jessica) went to meet him we hadn't all decided to actually get him but when we saw him in reality that was it. So now he is so much a part of our family and is the hairiest of us all. When we lost our border collie, Buddy, we knew no dog could replace him and Alfie is his own dog!" The family lost their beloved dog Buddy last year. It seems Alfie was always destined for stardom though as he's related to the famous Dulux dog! When I asked Alfie about how he'd deal with the pressures of representing his country in the Eurovision he simply licked his nose. Thomas believes he has the personality for the big stage: "...He has a fantastic personality and wants to be involved in everything! So what's it all about, Alfie?" We were wondering what kind of songs Alfie could bark through in the Eurovision and we've come up with some ballads for him: "The Bone & I", "Tail It My Way", "Send In The Dogs" or an upbeat number like "Oops... I Chased The Postman Again". We couldn't think of anyone better to represent us in next year's Eurovision Alfie and we're sure the canines of Ireland couldn't agree more! Everybody say aww! Also Read: Vote: What's The Best Irish Eurovision Entry Since The Last Time Ireland Won In 1996?